Simply add Scroll to top / Back to top button. Brozzme Scroll Top, is a lightweight plugin that adds a fully customizable scroll to top button on every page. The button appears when user scrolls, disappears on top. No coding skills require, No need to add any html to your theme. Works with Elementor page builder. Automatic Divi back-to-top disabling to use the plugin (and a customized button, without any css code !). Customizable colors, Material design style, responsive. 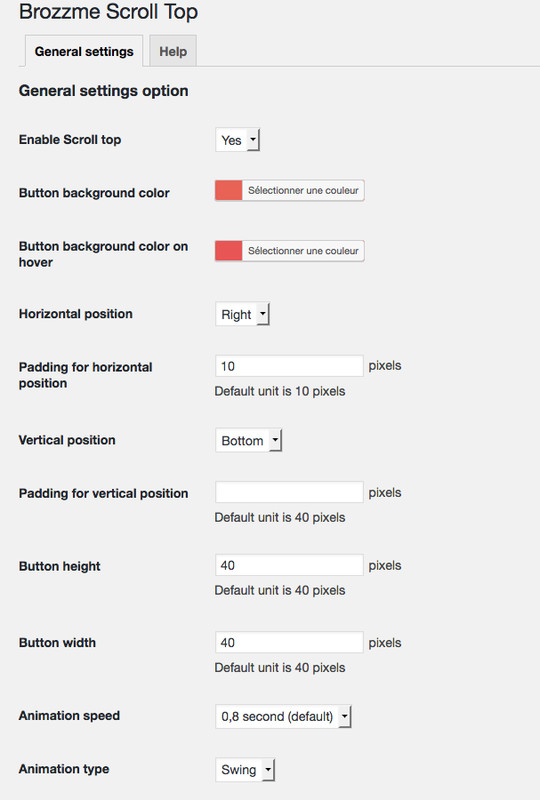 Set height and width of the button. Set padding from bottom and left or right.